After some excellent applications and much deliberation, we've selected 8 food tech startups to pitch at our SKS Europe Startup Showcase! They're a diverse and fascinating group, covering everything from guided cooking to taste-pairing to water purification. Get to know the candidates below and make sure to get your tickets to SKS Europe on June 11-12 to see them pitch, watch their demos, and learn about how their products will impact the future of food. We'll see you in Dublin! Startup Pantri's grocery usage-tracking service connects to smart devices in your kitchen to enable users to see when they're getting low on grocery items and reorder from their chosen online retailers. Its website tells users to think of Pantri like a "butler 2.0," but we view it more like a DIY Amazon Dash platform. Based in Copenhagen, PlantJammer is a vegetarian recipe-generating app which uses AI to help determine optimal flavor pairings in an effort to help inexperienced chefs cook more plant-based dishes and reduce food waste. If you want a more in-depth rundown of PlantJammer's modular cooking platform, check out our profile of them on the Spoon. This Belgian startup, which we wrote about on the Spoon last year, is a frozen meal kit service with an accompanying cooking device. After selecting a recipe on the mealhero app, users receive a box of fresh-frozen ingredients which they can cook in the connected countertop steamer. The app helps them assemble the prepared components into a final dish. This Berlin-based startup wants to revolutionize the way we drink water at home. Their smart water machine purifies tap water, then lets you customize it with cartridges that re-infuse the water with minerals or increases the pH level depending on your taste preferences and fitness goals. Bonus: it syncs up with your phone to give you deeper insights into and control over your H2O. Startup Lecker Labs is the maker of Yomee, a countertop yogurt maker. We've covered this Keurig-like machine before: you pour in your favorite milk (even non-dairy), pop in a Yomee starter pod, select your desired type of yogurt on their app (Greek, stirred, etc. ), and in 6 hours it's chilled to 55 °F and ready to eat. TipCrop is a smart lighting platform which allows growers to fine-tune aspects of their indoor farms (such as temperature, LED intensity, and humidity), giving them the ability to optimize their crops. As of now, their technology is used to grow microgreens and leafy greens in urban farms. Swiss startup Digimeals is working with kitchen appliance companies and recipe publishers to build their cooking interface. Their platforms let you peruse recipes based on what you already have, export the ingredient list for online grocery ordering, and monitor the cooking progress by aggregating data from your smart cooking devices. Our last finalist will be launching their technology at SKS Europe, so for now we have to keep them shrouded in mystery. 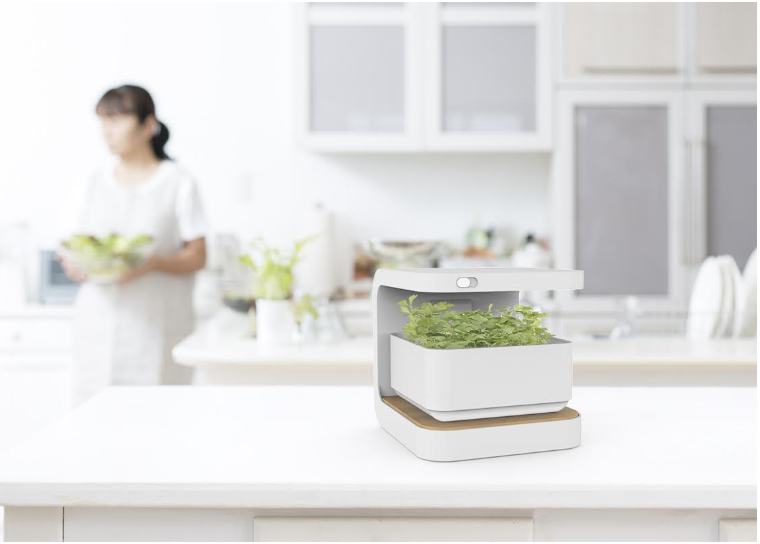 But let's just say their platform could have huge implications for the smart kitchen. Intrigued? Inspired? Want to hear more? Register for SKS Europe in Dublin on June 11-12th to meet the people behind these startups, hear them pitch, and experience their product demos.